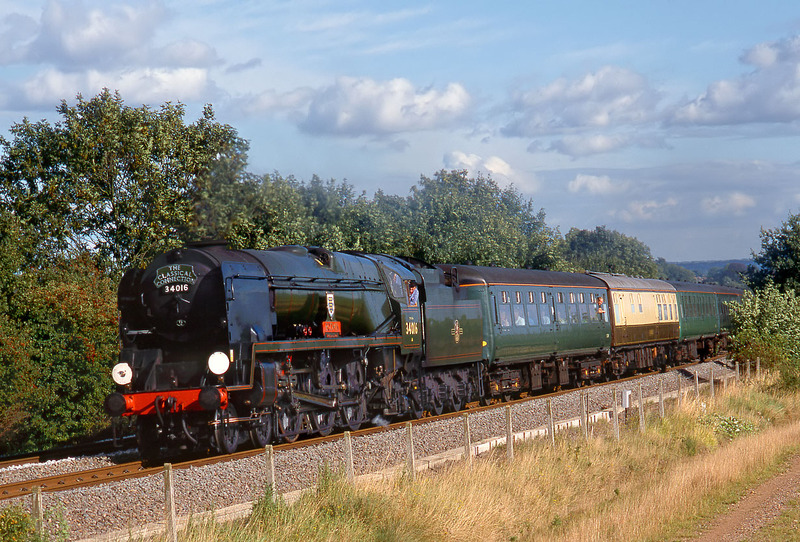 West Country Class 4-6-2 34016 Bodmin passes Bishopton (near Stratford-upon-Avon) with the Daylight Railtours 1Z97 16:35 Stratford-upon-Avon to Alton 'Classical Connection' railtour on 8 September 2001. The tour had traveled to Stratford in the morning via High Wycombe, but would return via Oxford. Pity about the chocolate and cream Pullman coach spoiling the otherwise perfect Southern Railway train!